The Stratosphere Hotel Las Vegas is a nice affordable place located on the northern portion of the Strip. The Stratosphere Hotel Las Vegas has a nice décor throughout the property with the Stratosphere Tower as the signature feature of the complex. The complex has two regular hotel towers filled with rooms and suites. The rooms are small but comfortable with the Stratosphere-type rooms being renovated within recent years. There are no rooms available in the actual Stratosphere Tower. The Tower is home to many exciting thrill rides such as Insanity, X-Scream, Big Shot and Skyjump. 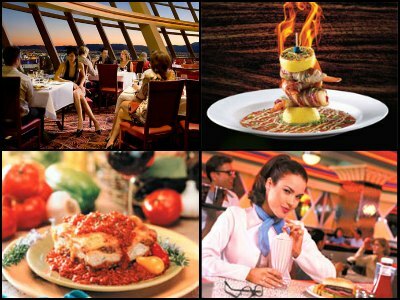 There is dining options for almost every budget with the Top of the World Restaurant located atop the Tower itself. Couples will be overjoyed when they decide to tie the knot in one of the unique wedding chapels located as high as 1,149 feet in the Tower. 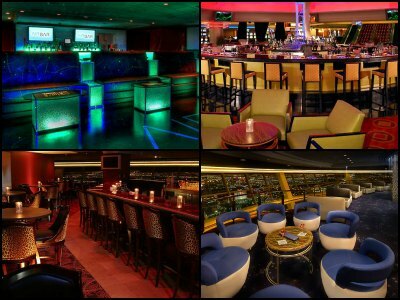 The nightlife includes several bars and lounges in the Tower for nonstop entertaining. The stage shows at the Stratosphere Hotel Las Vegas include MJ Live which is a tribute to the King of Pop. There are two pool areas that are located on the 8th and 25th floors of the property for a spectacular experience in the sun. There are plenty of unique items for sale in the Tower Shops and the Roni Josef Spa will make all of your worries disappear. The Stratosphere Hotel is great for those guests that are not looking to be in the middle of the Strip and are looking for reasonable accommodations with lots of entertainment within the complex. The Stratosphere Hotel Las Vegas has over 1,500 rooms and suites for guests. Accommodations are located in one of the two hotel towers. There are not any rooms available within the Stratosphere Tower. There are four different room styles but all are around 350 to 365 square feet. The Tower Deluxe, Premier and Strip View rooms have a modern décor with a king or two queen sized beds, a work desk area and a bathroom with a single vanity as well as a shower/tub combination. The Stratosphere Select Rooms have been recently renovated, so guests can expect a more contemporary décor. 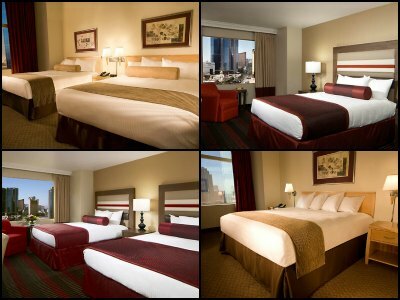 All four of these rooms are available in smoking or nonsmoking. The Stratosphere Hotel Las Vegas also offers two types of suites for guests that are looking for a few more amenities and space. The Grand Suite boasts 700 square feet that includes a separate lining room with modern furniture, a refrigerator, dining table and a wet bar. The bedroom has a king size bed, sitting area and a marble bathroom with a dual sink vanity, limited whirlpool tubs and walk-in shower. The Oasis Suite is 700 square feet with a separate sitting area that includes a pull-out sofa, wet bar, refrigerator, dining table and marble foyer. The bedroom has a king size bed, sitting area and the bathroom has a dual sink vanity, jetted garden tub and walk-in shower. Guests who need more sleeping space can add an additional room to both of the above suites. The Stratosphere Hotel Las Vegas has an abundance of entertainment for their guests. The property has the fabulous Stratosphere Theater that brings excellent sight and acoustics to patrons. Three shows standout at this complex and they are MJ Live and the L.A. Comedy Club. MJ Live is a tribute concert to the King of Pop, Michael Jackson. The concert will take you through all of his famous dance moves and choreographed songs. MJ Live has something for every MJ fan that is looking to relive some of the best moments in pop music. The concert has a tremendous feel of reality with the numerous dancers and the live band that accompanies the King of Pop. Featured super hits like Thriller, Billie Jean and more will be performed by artists that have studied MJ’s former stage shows to ensure an evening of entertainment. The L.A. Comedy Club is located in the quaint 160 seat Dragon Room at the Stratosphere Hotel Las Vegas. This comedy venue has been a hit in Las Vegas since opening in 2007. The L.A. 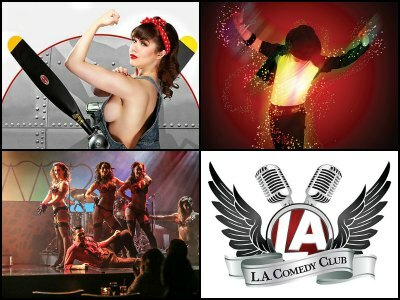 Comedy Club has nationally known headliners who bring the best and most cutting edge comedy acts to the stage. Guests will marvel at the hilarious improve that takes place on the stage at the L.A. Comedy Club. The nightlife at the Stratosphere Hotel Las Vegas is superb for those who like a nice view and a variety of venues. The Air Bar is situated on the 108th floor and is the highest bar in Las Vegas. The Air Bar sports a picturesque view and excellent electronic dance music; the Level 107 Lounge is located on the 107th floor of the tower. Level 107 Lounge is a little more laid back with comfortable couch seating and a spectacular view of the Las Vegas skyline. Other options include the McCall’s Whiskey Bar which has a rustic feeling and a plethora of whiskey; guests can indulge in the perfect Eldorado Cadillac Margarita at Margarita Bay; CBAR is open 24 hours and features DJ’s on the weekends; live music and signature cocktails are available at Images Lounge; the Radius Pool is lively during the day and is situated on the 25th floor rooftop. The casino at the Stratosphere Hotel Las Vegas is 80,000 square feet of tantalizing table games, slots and video poker. 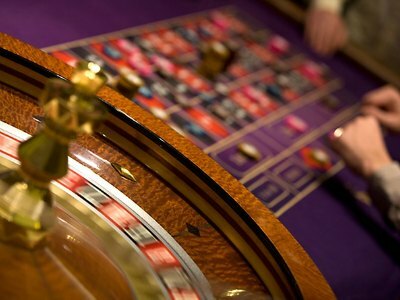 Guests will enjoy the 45 gaming tables offering everything from blackjack to craps to roulette. The casino area has fifteen more tables that are dedicated to daily and no-limit tournaments. There are also over 800 slot and video poker machines throughout the complex. The property has a race and sports book with comfortable seating for 120 guests as well as over 33 televisions for viewing pleasure. The Buffet at the Stratosphere Hotel Las Vegas serves up eclectic buffet-style cuisine from around the world. The Buffet has something for everyone in your group in a fresh and comfortable décor. There are many different live cooking stations for omelets to waffles during brunch, a carving station for meats, a grilling area for hamburgers, a salad bar, deli bar and a luscious dessert area for your stomach’s pleasure. 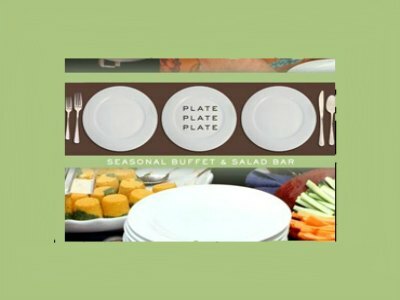 Diners will be amazed at the fresh quality of the ingredients and the innovative twists on many buffet favorites. Another added plus is that brunch is served seven days a week. 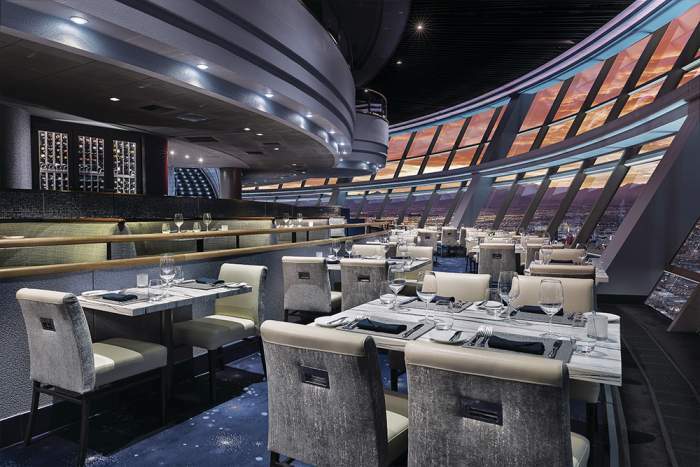 The Stratosphere Hotel Las Vegas has a few different options for people that are hungry. There are several quick food restaurants located with the Tower Shops such as McDonald’s, Chicago Hot Dog, El Nopal Mexican Grill and Mookies. On the casual side of dining at the complex there is Roxy’s Diner which is open 24 hours and serves up American style dishes; the Buffet offers a nice selection of cuisine and is open for brunch on a daily basis; Sandwich Carvery 108 has deli-style food with a view from the 108th floor of the Tower and Nunzio’s Pizzeria has traditional calzones, strombolis and pizza. Diners seeking upscale affair will be pleased with the innovative Italian cuisine at Fellini’s and McCall’s Heartland Grill serves up perfect steaks. For those diners seeking one of the most romantic restaurants in Las Vegas there is the Top of the World. This restaurant slowly rotates around the tower giving diners a 360 degree view while they indulge in exquisite international cuisine. The Level 8 Pool is located on the eighth floor of the Stratosphere Hotel Las Vegas. The pool area is surrounded by a massive deck that is perfect for frolicking in the sun. The Level 8 Bar and Grill will make your day in the sun even better with a signature drink. For that true VIP experience Level 8 Pool has cabanas and daybeds for guests to enjoy the pool in unrivaled comfort. 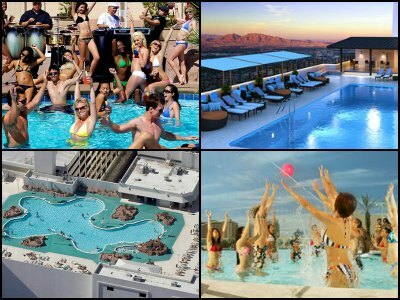 There is also the Radius Rooftop Pool and Wet Lounge at the Stratosphere Hotel. The rooftop pool is located on the 25th floor and boasts daybeds, cabanas as well as DJ’s during the day. The Wet Lounge will satisfy your thirst as you lay in the sun. The Stratosphere Hotel Las Vegas has many attractions for the adrenaline seeking guest. 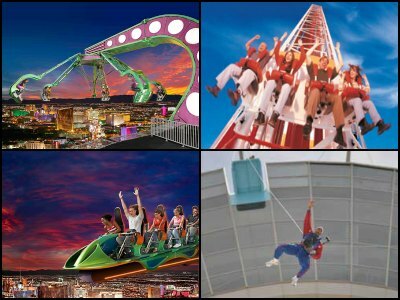 There are four thrill rides that are exclusive to Las Vegas which are Skyjump, Big Shot, Insanity and X-Scream. Guests also have the opportunity to explore the observation deck of the Stratosphere Tower. The Skyjump is much more than just a ride up and then down from the 108th floor of the Stratosphere Hotel Las Vegas Tower. Guests can experience jumping out of a window from 829 feet above the ground and fall gracefully into the sky before stopping just short of the fast approaching ground. The Skyjump holds the Guinness Book of World Records for being the highest commercial decelerator descent. This is not a bungie jump and there is no snap back or flying around because patrons are connected to cables on both sides that control the speed of your descent. This is a perfect thrill ride for the adrenaline seeker. The Big Shot is ideal for those people that like to sit down while seeking their adrenaline rush. This thrill ride begins 921 feet up on the Stratosphere Tower when sixteen patrons are shot into the air some 160 feet at forty-five miles per hour to reach an amazing height of 1,081 feet before falling back to the start platform. The Big Shot will fill your body with four G’s of force on the way up and negative G’s on the way down. The Insanity thrill ride is one of the only places in the world that you will experience three G’s of force on your body, while you look 900 feet down onto the historic downtown area of Sin City. Once you are strapped into the Insanity there is an arm that extends the ride 64 feet from the edge of the Stratosphere Tower into the abyss of the Las Vegas sky. The extended arm will twist, rattle and roll your body in many different directions as well as angles. At one point you will be at a levitated stated at 70 degrees looking straight down. The X-Scream is the only coaster type ride in Las Vegas that propels guests 27 feet over the edge of the Stratosphere Hotel Las Vegas Tower some 866 feet above the ground. The teeter-totter design of the X-Scream is fashioned to make patrons feel the adrenaline on the way out as well as a state of weightlessness many feet above the ground once they stop. After several rocket shots over the edge most guests will not have much a voice left after screaming at the top of their lungs. The Stratosphere Tower also has a spectacular observation deck that is located 1,149 feet above the ground. There are two different observation decks that have a 360 degree panoramic view for guests to enjoy. The indoor deck has angled windows for that person that may not like heights and the outdoor deck is perfect for those that are just a little braver. 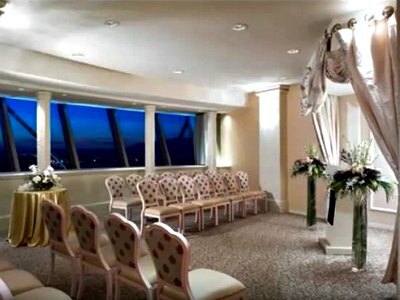 The Stratosphere Hotel Las Vegas has one of the more unique wedding venues in Sin City named the Chapel in the Clouds. Weddings can be performed at many sites within the Stratosphere Tower as high-up as 1,149 feet in the air. Couples can choose from one of the two indoor chapels located on the 103rd floor or an indoor venue with an attached outdoor observation deck on the 108th floor. There is also a very intimate private balcony on the 112th floor. Some couples have experienced their special day while riding one of the many thrill rides at the Stratosphere Hotel. The complex offer specific packages and couples can create their own personalized ceremony with the help of one the property’s expert wedding planners. 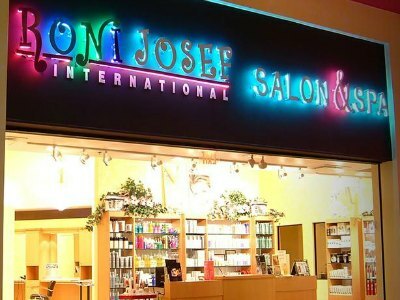 The Ronie Josef International Salon and Spa is located on the second level in the Stratosphere Hotel Las Vegas. The full service salon and spa can make the worst day and incredible experience. The spa has a soothing appeal to guests with light wood floors and perfect lighting. Patrons can also mix and match their favorite treatments to ensure that relaxation and rejuvenation takes place for your body as well as your soul. Guests can also choose one of Ronie Josef’s signature treatments like the Purifying Back Treatment with Detox or the Aroma Flow Body Wrap. The Tower Shops at the Stratosphere Hotel Las Vegas includes an assortment of well-known retailers and souvenir stores. 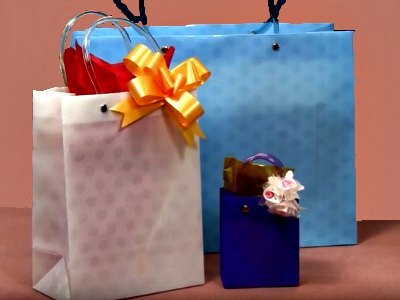 Guests have over 30 shops to browse and find that perfect souvenir. The Tower Shops include Cartoon Vegas for a caricature; Jewels of Las Vegas has unique jewelry accessories; a mystical magic trick is at the Las Vegas Magic Shop; LV Men’s Apparel has new and trendy fashions; Perfumania has that perfect scent; Eagle Outfitters has the latest in unisex fashion; the long boards at Underground Skate Shop are the bomb and Cleo’s has that one-of-a-kind accessory for women. There are several gift shops for exciting attractions like SkyJump, L.A. Comedy Club and Stratosphere Tower.